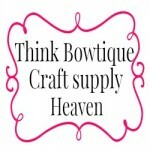 Wholesale grosgrain and satin ribbon online Australia. Wholesale grosgrain and double sided satin ribbon in 45 metre and 90 metre rolls on a spool in Australia. 6mm - 1/4" Double sided satin ribbon 90 metre rolls.